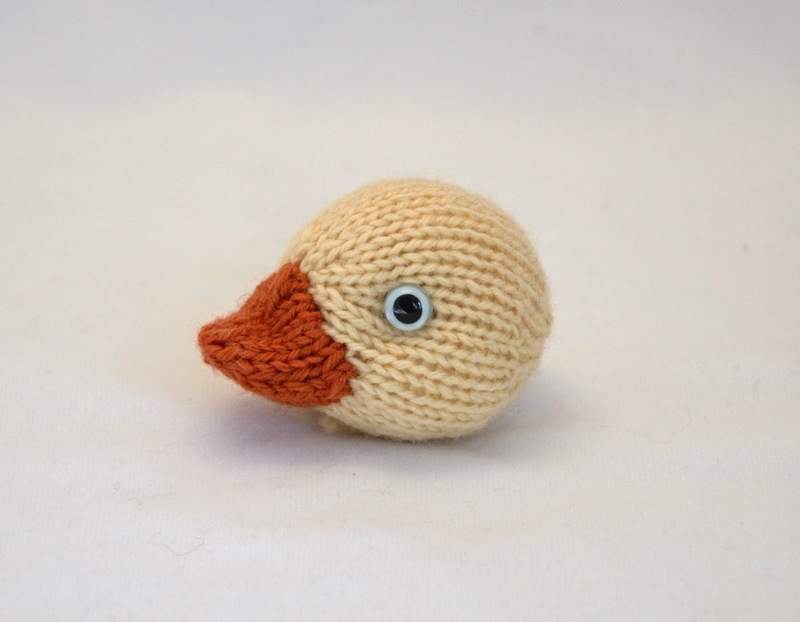 While my Silly Duck pattern (Ravelry, Etsy) is not a difficult pattern, there are a couple key places where your finishing skills make all the difference in the success of your efforts. 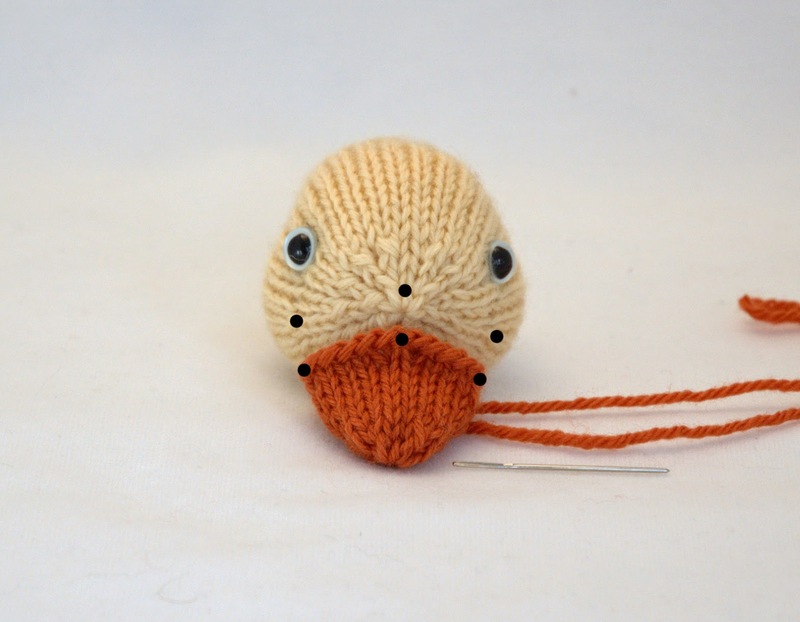 I've put together two photo tutorials to show you how I attach the duck's beak, and how I finish the feet. 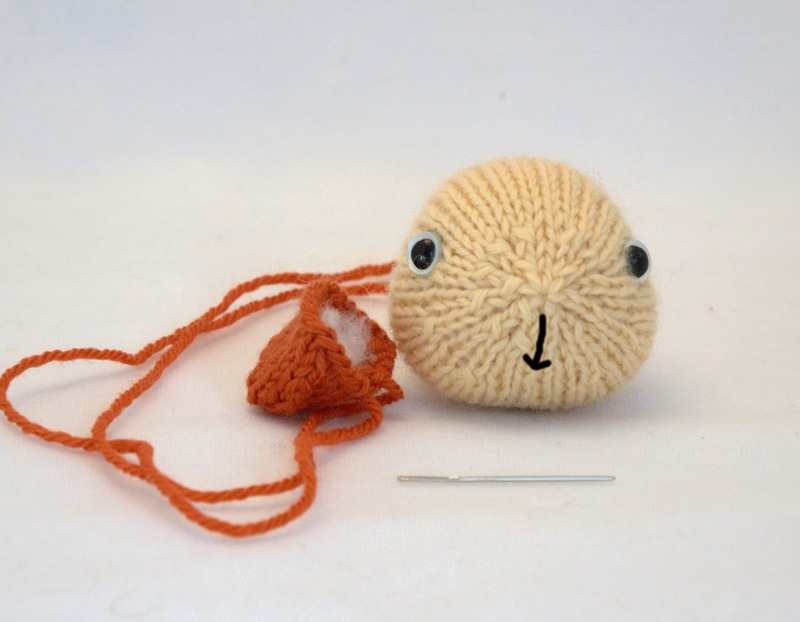 Step 1: The head has been stuffed (the arrow shows the seam). The beak has been seamed, and stuffed. There is very little stuffing in the beak - just enough to hold it's shape. 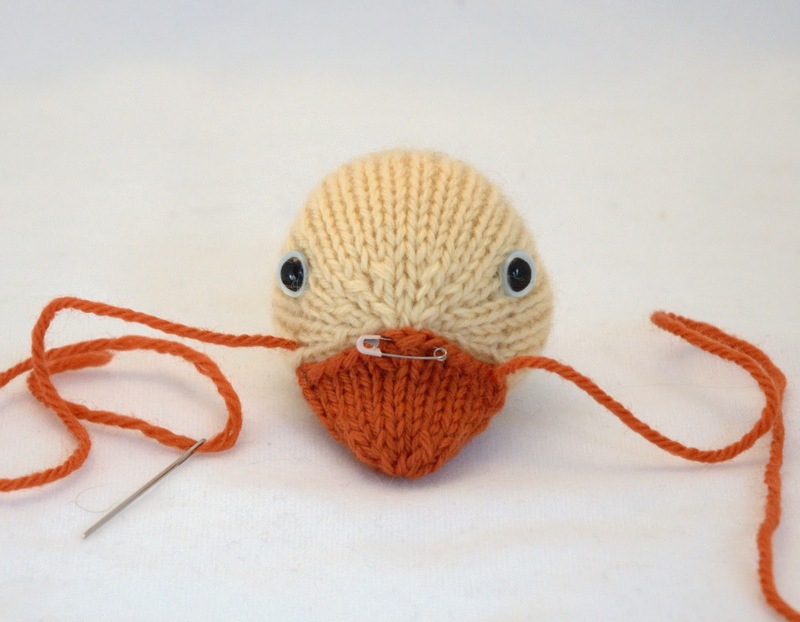 Note that there are 2 yarn ends attached to the beak - one from the cast-on, and one from sewing the seam. These will be used to attach the beak. Step 2: Line up the beak to where you will sew it to the head. The dots show where to match up the center and sides of the beak. The sides match up with the decreases you made on Row 20. Step 3: Use safety pins to pin in the beak in place. Step 4: On the underside of the head, the beak seam will match up with the head seam. The underside of the beak will be a straight line between the sides (don't pull it down so it's curved). 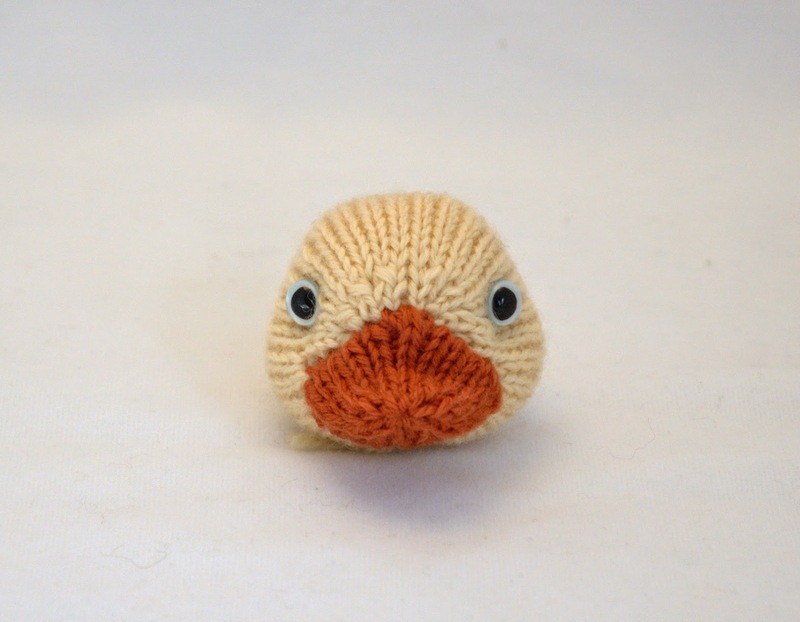 A shoulder / invisible seam stitch works best to attach the beak. 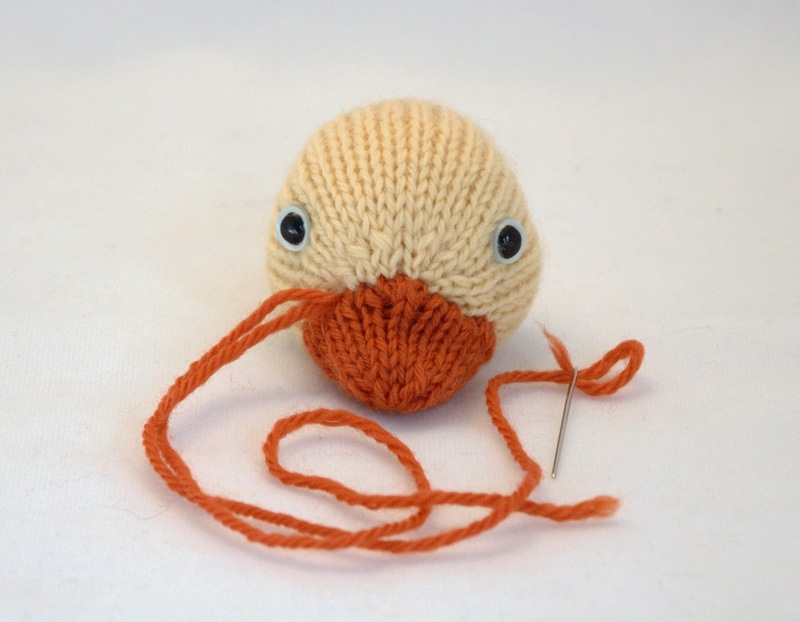 Step 5: Start at the center seam with one yarn end, and work towards one side of the beak. Start at the center seam with the second yarn end, and work towards the other side of the beak. 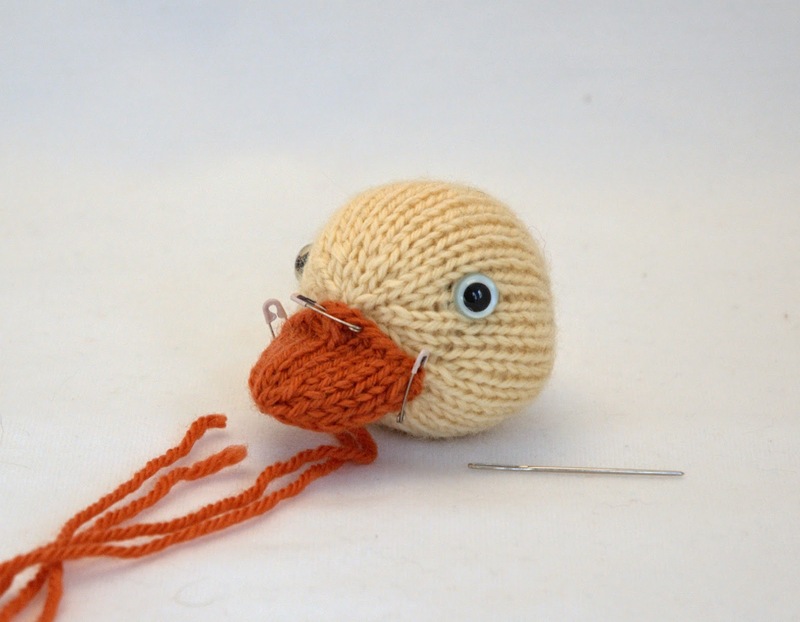 Step 6: Turn the head over, and use the same method to sew the upper-side of the beak to the head. 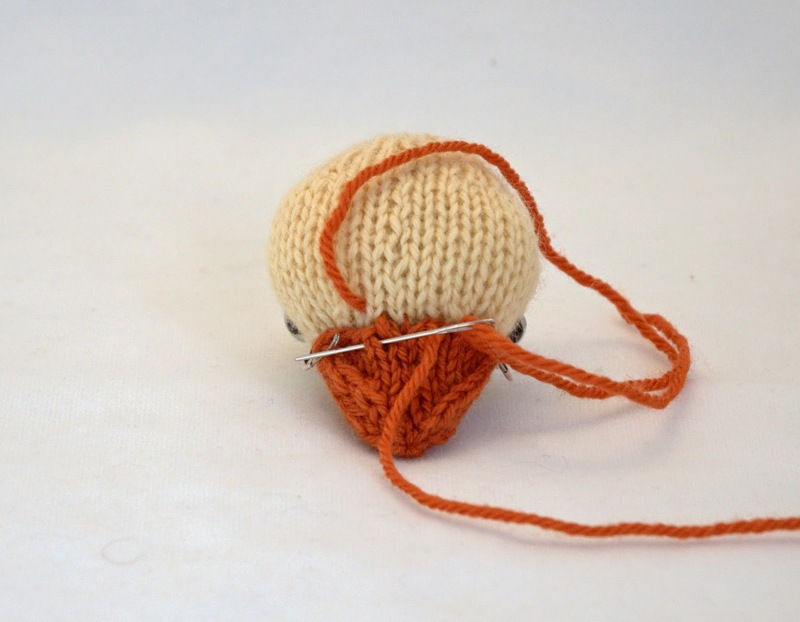 You may find it easier to make a couple stitches at a time on each side, to get a more symmetrical placement. Step 7: The beak is now attached to the head. 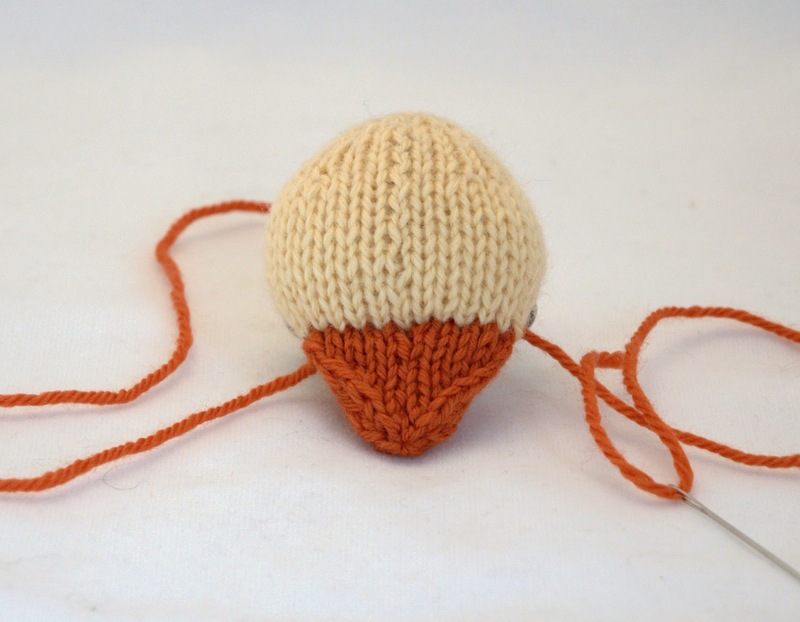 Thread both yarn ends to the same location, and knot them together. Weave the ends through the head 2-3 times, pulling on the knot so it slips inside the head. Your yarn ends should now be secure. Finished head from the front. I've done some soft-sculpture, like I show in this post. Finished head from the side. With only a small amount of stuffing in the beak, it has a more realistic shape.